There are 2 separate releases for this game, one supports VR and the other doesn't. Based on what I have seen from VR games they tend to a lot smaller and more focused on things that make the VR part fun compared to the standard games. Based on the screens they look like the same game, which seems odd since they could just release a single copy and make VR an option to turn on which alters things. Is there a proper difference between the 2 releases of the game? Purely based on looking at the trophy lists for both versions of the game, it does look like they are different. For starters there isnt any endless mode in the VR version of the game at the moment, but they may add it in eventually. You can look over the trophy lists. 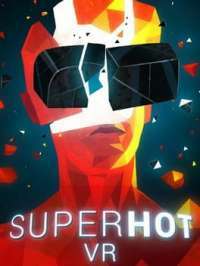 Here is the trophy list for the standard edition of superhot and here is the trophy list for the VR edition of superhot.